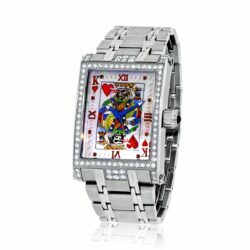 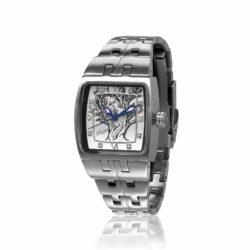 Flaming Ice is crafted in a two tone polished and matte silver steel. 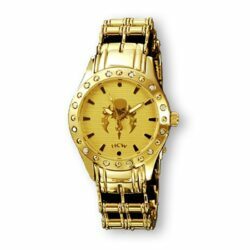 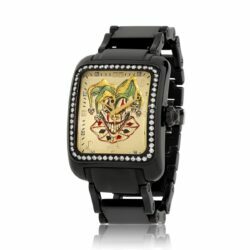 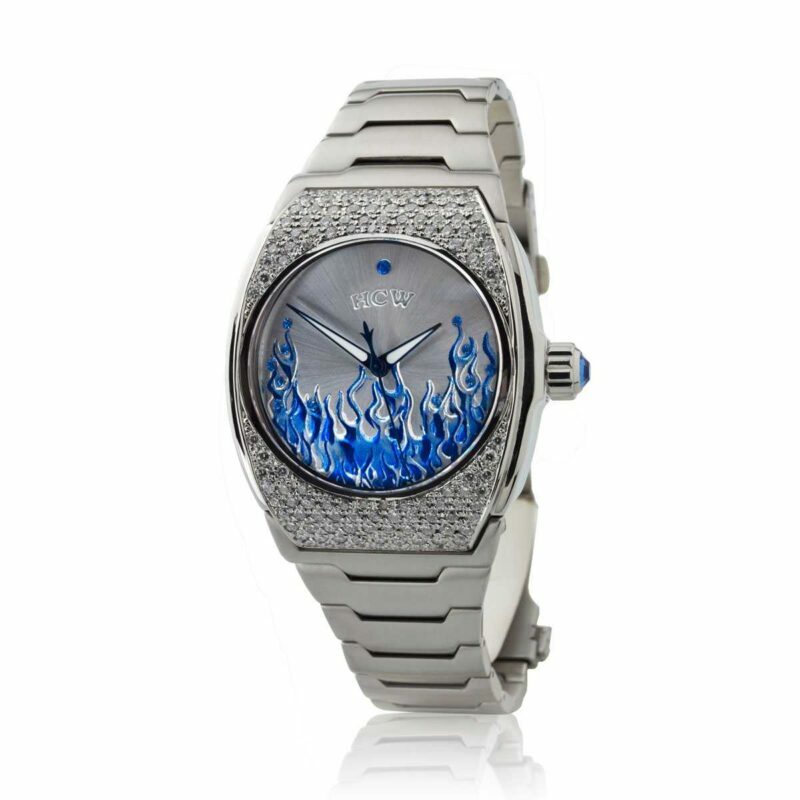 Its flames are sculpted in 3 dimensional casting on a starburst dial and accented with ice blue Swarovski crystals individually set above the flames. 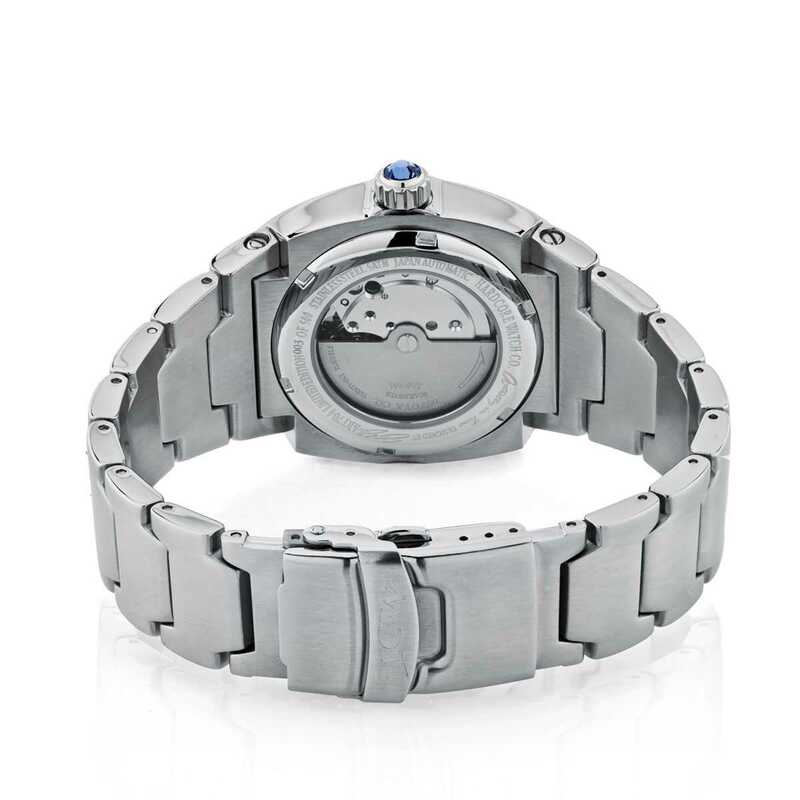 Each link is machined to perfection and contours to your wrist. 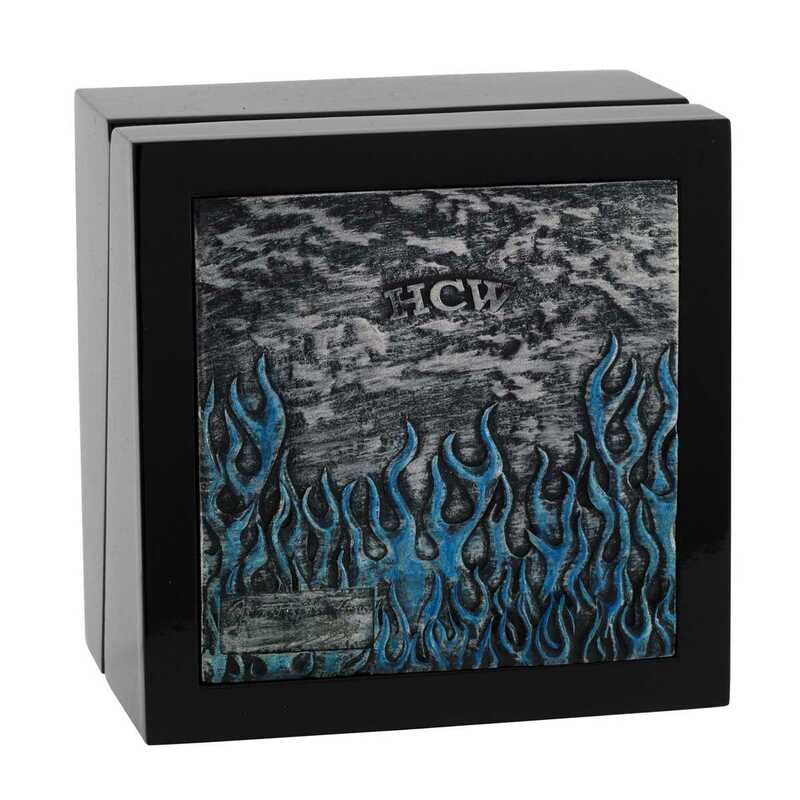 Flaming Heat is designed with a stunning exhibition case back.